How’s this for a meet-cute: a SoCal girl meets a Midwest boy at a college dance competition. Awww! 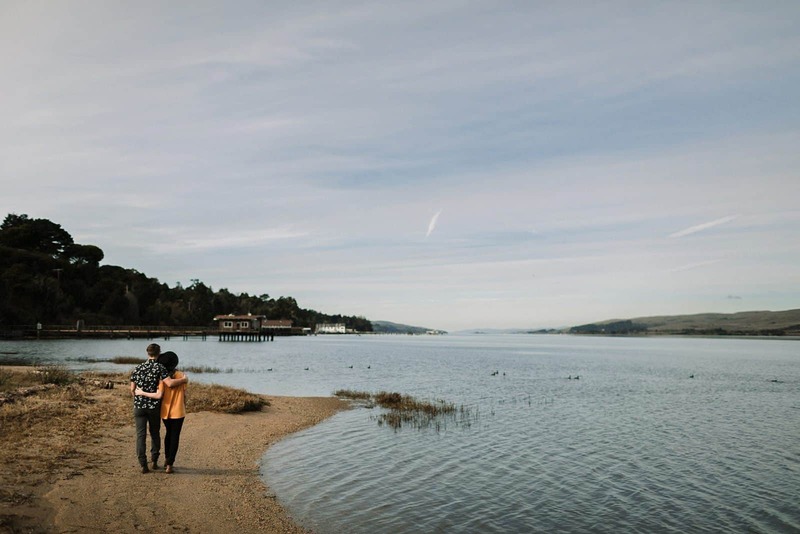 Years later, they’re engaged and starting their life together in the Bay Area. They also happen to be gorgeous, adventurous, creative and fun loving. 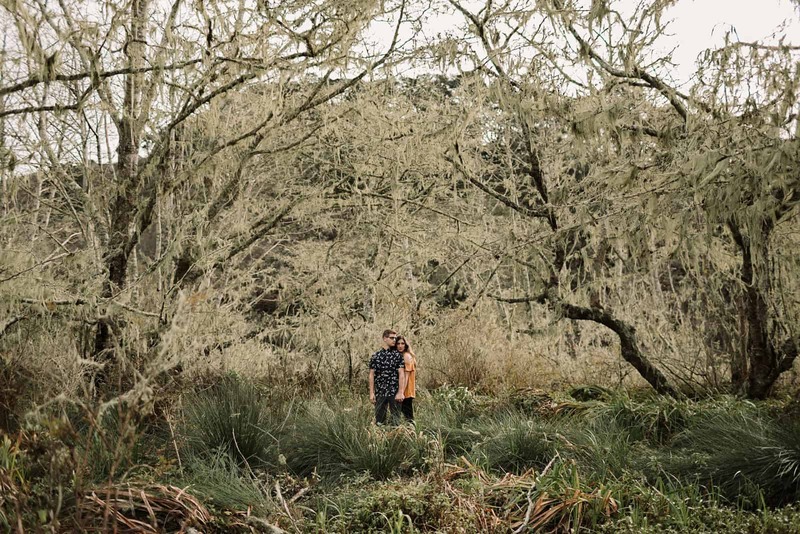 All in all, the kind of couple I love working with for Bay Area engagement photos. 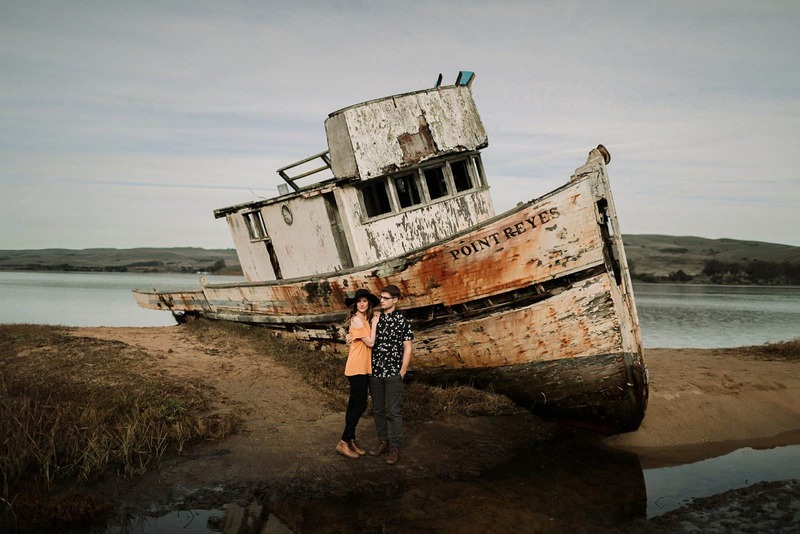 Scroll down to see their adventure session in Point Reyes, or click here to read more of their story. 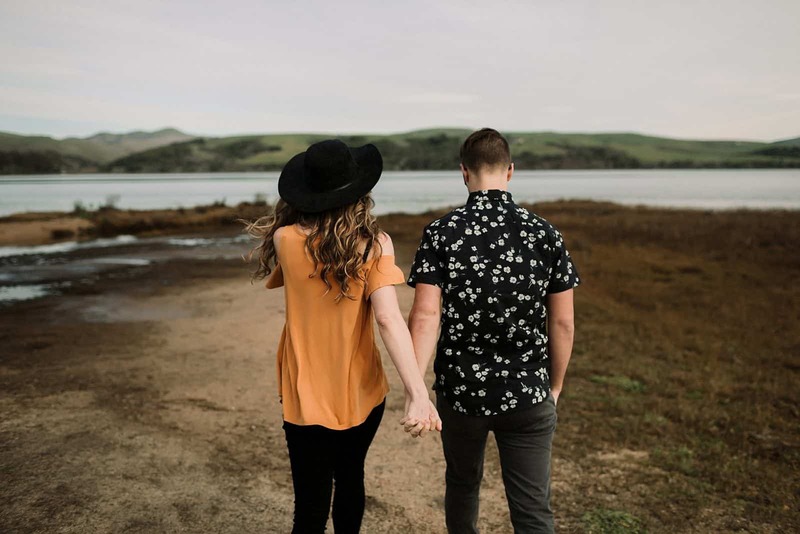 Natasha and Aaron came to me through a mutual friend and colleague. 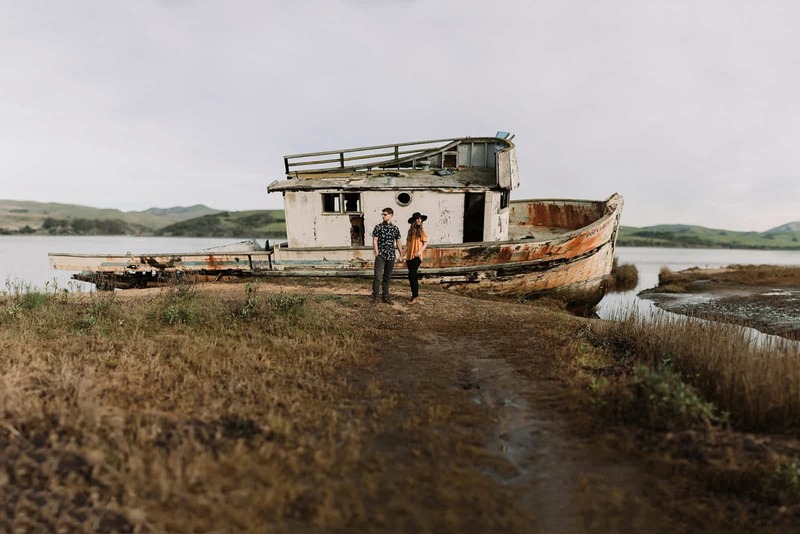 They describe themselves as an adventure travel couple who are creative explorers at heart. Perfect! I couldn’t wait to get started! And do you see how cute their outfits are? They chose great complimentary style which enhanced their natural beauty for great images. 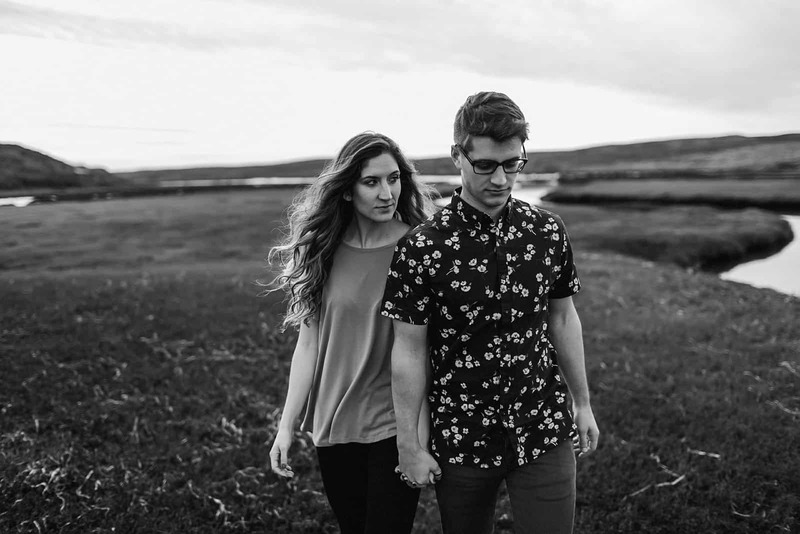 Natasha and Aaron’s upcoming nuptials will be celebrated in San Diego, where the bride is from. 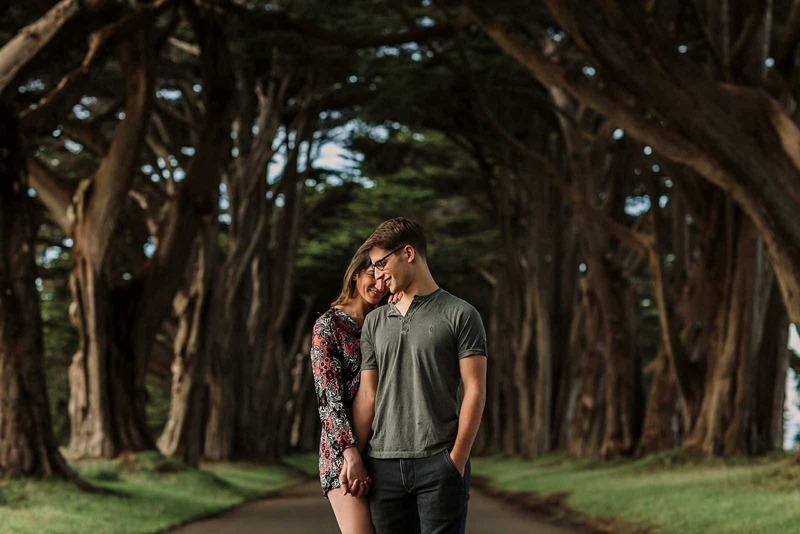 But they wanted to have their engagement photos done near where they’ll be starting their life together in the Bay Area. I love this idea! 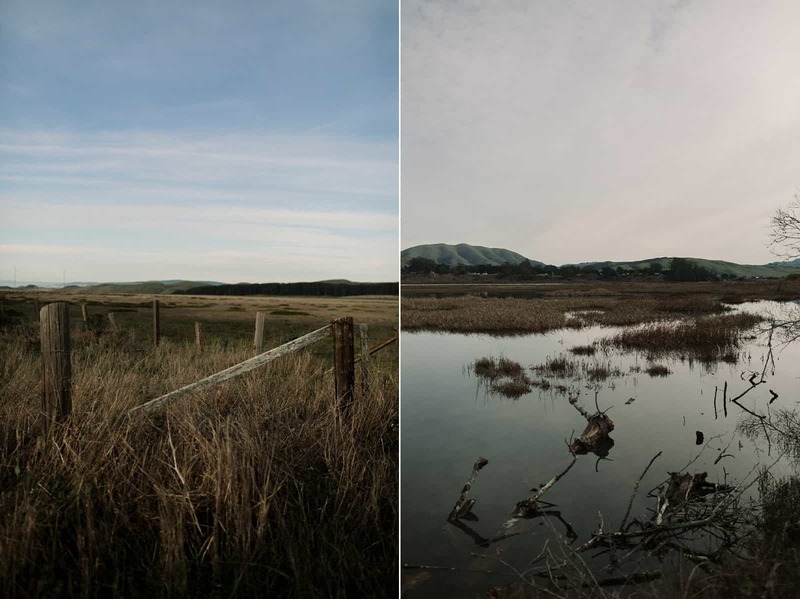 The Bay Area is full of incredible nature that makes for gorgeous scenery. In fact, a lot of my favorite shots are in and around the Bay. 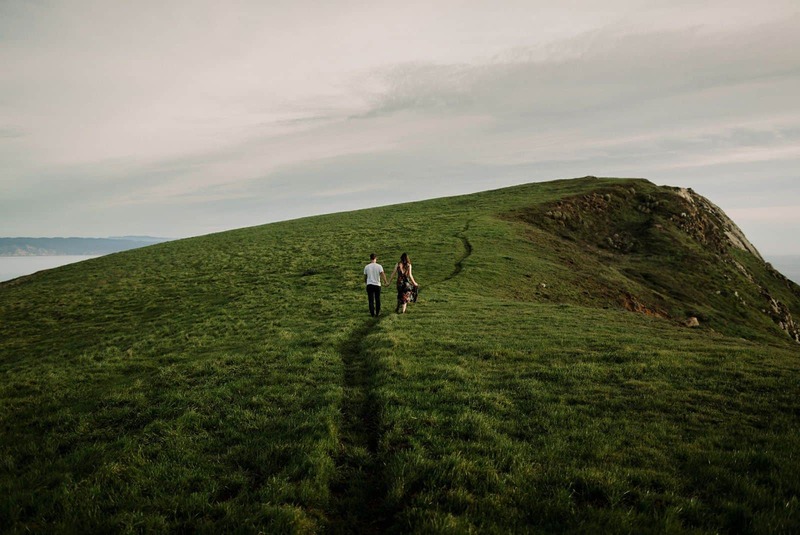 To find something that fit their unique and adventurous spirit, we looked at a few options in the area. 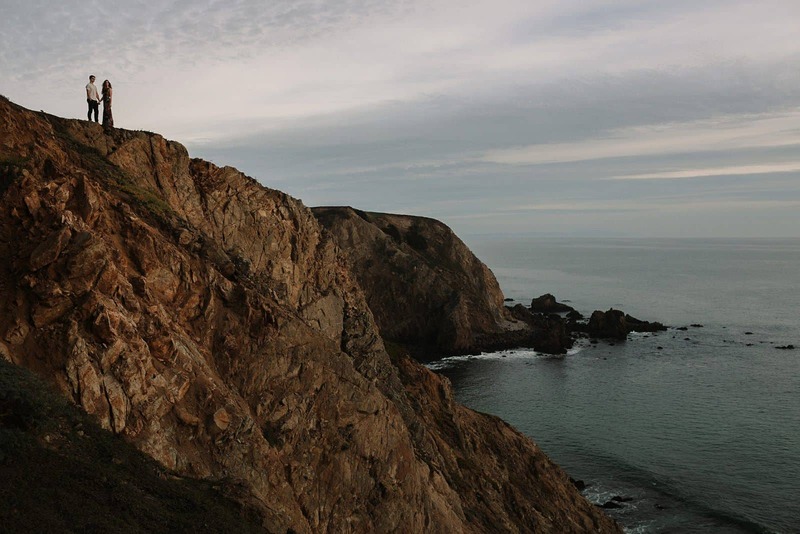 In the end, Point Reyes was ideal. 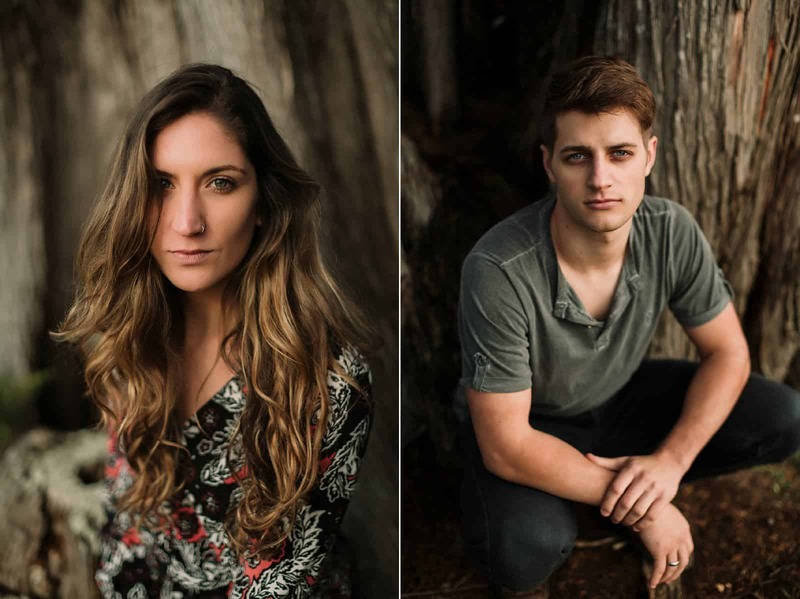 I have shot there are few times and have been thoroughly impressed each day! In the wintery days of mid-December though, the green grass and low setting sun made it feel like we were on a different continent altogether! It was SO fantastic! We spent an entire afternoon driving around to some of the unique places of this National Seashore. 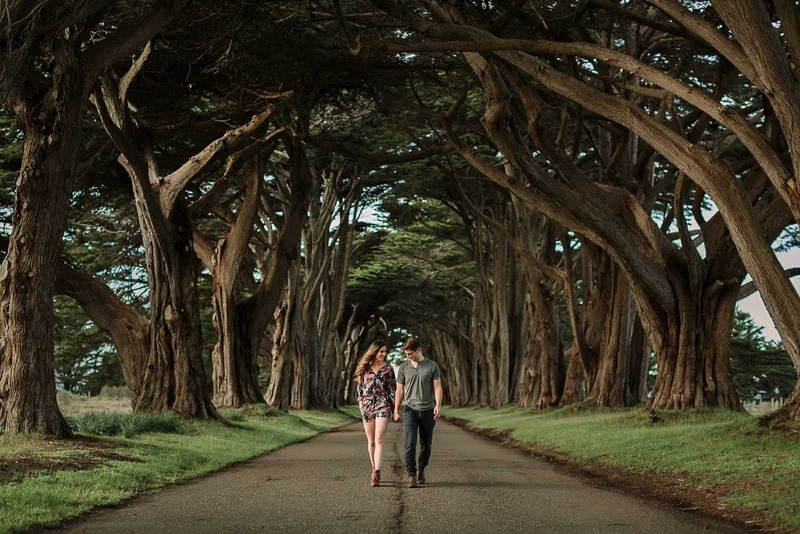 We wandered from the impressive shipwreck to the Insta-famous Cypress Tree Tunnel with lots of stops to along the way. The rolling green fields of cows and deer made me think of Ireland rather than northern California! We finished the session on the paths and cliffs not far from the lighthouse. They never winced when I asked them to traipse around in the muddy grass or stand near the cliff edge (not too close!). 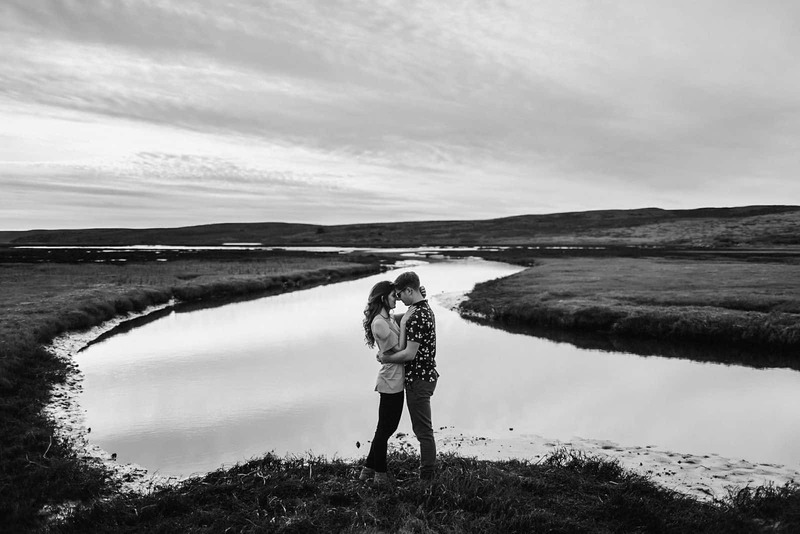 And their obvious love for life and enjoyment of each other was captured in their photos. Thank you, Natasha and Aaron! 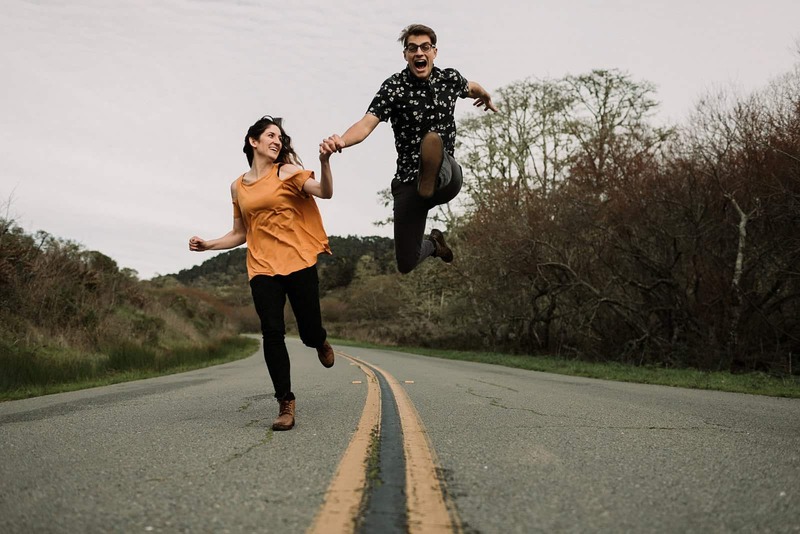 You guys went above and beyond to make this engagement shoot something unique. Keep being your adventurous and delightful selves!